Leopards are a species of big cat that is native throughout most of sub-Saharan Africa, from the bushvelds of South Africa to the jungles of the Congo, and formerly resided in parts of North Africa. The leopard can also be found throughout Southeast Asia, India, and select regions of the Middle East, however it is increasingly rare in the Arabian Peninsula and highlands of Iraq and Iran. Leopards are solitary animals that will hunt by using a combination of stealthy ambushes and immense strength to catch prey as much as five times its own size. Its intricate spots and spot groupings on its body give it impeccable camouflage and the use of clever tactics has earned the leopard its reputation as the “prince of stealth.” This contrasts sharply with the cheetah which openly stalks its prey and uses a burst of incredible speed to catch it. 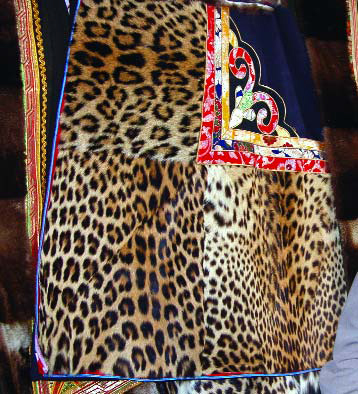 The spot groupings on the leopard, called rosettes, are also what make its skin a highly sought after status symbol throughout many traditional and modern cultures of Asia. In the early 2000s a quality leopard skin would sell for $850 in Lhasa, the capital of Tibet. Hunting big cats is a tradition that goes back many centuries in India from the times of the British Raj back to the Mughal Empire and beyond. Today leopards and tigers are still poached for their skins, while what few Asiatic lions remain in the country are primarily located in a centralized, protected region. Asiatic cheetahs used to inhabit the subcontinent, but they have been locally extinct throughout Asia for many decades with only a few remaining in Iran and the occasional sighting in Pakistan. Since its low point in 2013, leopard poaching in areas documented by WPSI has been on a slow but steady increase. Note: Leopard poaching statistics provided by information from the Wildlife Protection Society of India go back to 1994, but may be limited to areas that WPSI and related authorities have jurisdiction over. This information includes documented deaths of leopards as well as discovered remains of leopards (skins, bones, etc.) seized from Indian wildlife traffickers. In order to determine deaths some statistics are based on correlated evidence from these seizures where 1 undocumented skin is understood to represent 1 illegally killed leopard. A large shipment of seized leopard skins and parts in 2000 likely accounts for the unusual spike in documented poached leopards for that year. Sources: WPSI’s Tiger & Leopard Poaching Statistics 1994-2016; WPSI’s Leopard Poaching Statistics, 2014-2018, 2019.